Everyone loves dogs don’t they? How would dogs go about doing a PhD? This light hearted piece is by ‘Florian’, as told to Professor Peter Downton, a very experienced supervisor from the School of Architecture and design at RMIT University. 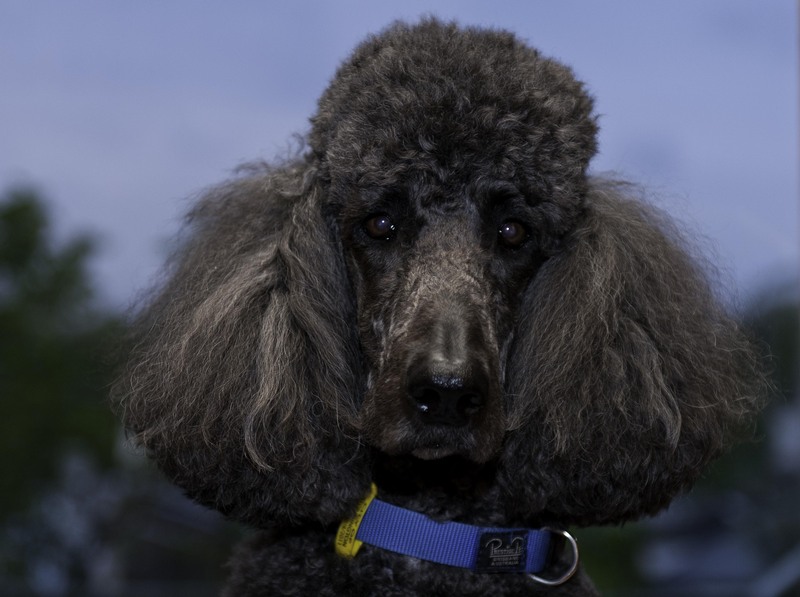 Florian is a very handsome poodle, as we can see by the picture. I think Florian has some quite good advice for us human types, if listened to in the spirit it is told. You may not agree with all of it, so do tell us what you think at the end. When you are new to the field, it is a lot of fun to rush around with friends doing random research. You can get hold of any ball and run with it. There is a great deal of stuff to sniff out. Lots can be dug up, and all sorts of things can be found in corners, retrieved, and made your own. Finding where you buried these items can be hard later, of course, and you need to establish a good system early. Some of my friends recommend BoneNoteK9. Whatever system you use, you will be very busy. And with so much activity, it is easy to get really excited and need a big drink, and a good lie down. It is rare that dogtoral candidates can really choose their own supervisor and many find the relationship somewhat constraining. However, I found that it was valuable to have some supervision, some guidance, and the care and feeding that comes with it. Early on, it can be difficult to go in a straight line, but being brought to heel stops you getting into dangerous territory. Generally, I realise now, that being told what to do is helpful. Most of the time, you find that the directions you are given are not as specific as they could be and you have scope for interpretation. As your relations with your supervisor mature, you will find (if you are like me) that you understand their words better, too. Looking back, I recall that turning up at classes with the other beginners was a bit daunting initially, but these seminars equipped us with new strategies for working together, for following appropriate paths, and helped us settle in to our new research homes. Some of us were pretty nervous and growled too much; some of us did not manage to negotiate all the obstacles, but in the main we emerged with a better understanding of who we were as researchers. We knew more about when to do things and, even better, where to do them. The classes are not harmful; no one went barking mad as a result of doing them. One of the best things I got from these puppy classes, which was refined with supervision, was a clearer picture of who to wag my tail at. I was told not to jump up at everyone – even when they were philosophers with beguiling French accents. My tendency to do this had to be curbed through some stern supervision. It appears that licking them is better tolerated. Now I am well into this dogtorate, I am working fairly steadily, although I find I get a bit distracted by going out and reading my peemail. Often, I do this on my way to have coffee at an outside café with my supervisor. I know my place on these occasions, and don’t say anything, while he employs words I cannot manage in his conversations with other supervisors. Being honest, I can admit to some frustration that my supervisor can see the world more clearly than I can, but I am more frustrated that he thinks this gives him access to reality. The knowledge of the world that I can assemble from my superior abilities with scent and sound leaves me panting at what he does not understand. He thinks we live in a world of his construction, but we do not. Certainly our worlds overlap, but he is not able to access all sorts of relevant knowledge. Thus, like all dogtoral candidates there are ways the reach of my knowledge extends beyond that of my supervisor. I am certainly clearer about my position in my research home, my pointless rushing about has been tamed and I am far more thoughtful and less disruptive sitting in my supervisor’s office. At the moment, I am unclear about how my work will end, but I am pretty content with pats on the back and all the praise I can get. This entry was posted in You and your supervisor and tagged doing research, supervisor. Bookmark the permalink. This is very apt! But what if one’s supervisor is a cat and you therefore exist in a state of constant tension, never knowing of its a purring day or a claws day? On the subject of of dogs, there is a lovely book written by John Steinbeck (of Mice and Men fame among other literary triumphs) called Travels with Charley. It documents the author’s travels across the USA in the company of his very sensible and stately poodle Charley. Charley is a very good listener as Steinbeck puzzles over the problems of US society in the 60s. A good book to read as light relief between chapters. This really brightened my day! It’s amazing how many different metaphors can be applied to doing a PhD- though this is probably among the funniest. Thanks for this, Peemail is now going in my personal dictionary. Hahah thats very funny!!!! Do u think the dog is ever going to submit. Just back from Yoga and about to curl up in bed with a hot choco and Downton Abbey! Bliss!!! Hope you are well. Have explored a few PhD metaphors myself – this reminded me of my post with ‘dog’ as a metaphor for my topic – how to find a dog of my own on the crowded beach?